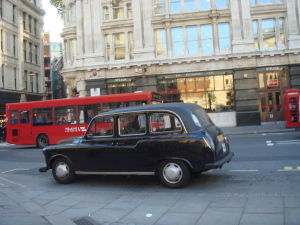 Becoming a London Taxi Driver is a mysterious business. For a long time I wondered about those figures in the bright yellow safety vests and helmets, with maps wedged into frames, rather like music-stands, on the handle bars of their motorbikes, who slowly cruise the streets of London, squinting at monuments and peering into buildings. At first I took them for couriers. Yet, somehow their pace (snail’s) and style (cautious) didn’t quite fit with the classic motorcycle courier’s speed and daring. Then I thought they might be tourists but the absence of cameras made that seem unlikely. They were clearly a group or force of some kind, united by a uniform of sorts (vests, helmets, maps, music stands and motorbikes) and certain distinctive behaviours (squinting and peering at monuments and buildings) Perhaps they were security guards ensuring the safety of the city’s landmarks or special agents tracking suicide statue bombers? I puzzled on until, one day, one of these mystery riders crossed the path of my taxi. What luck! The driver was sure to have the answer to the enigma of the vested, map-reading monument-watchers. 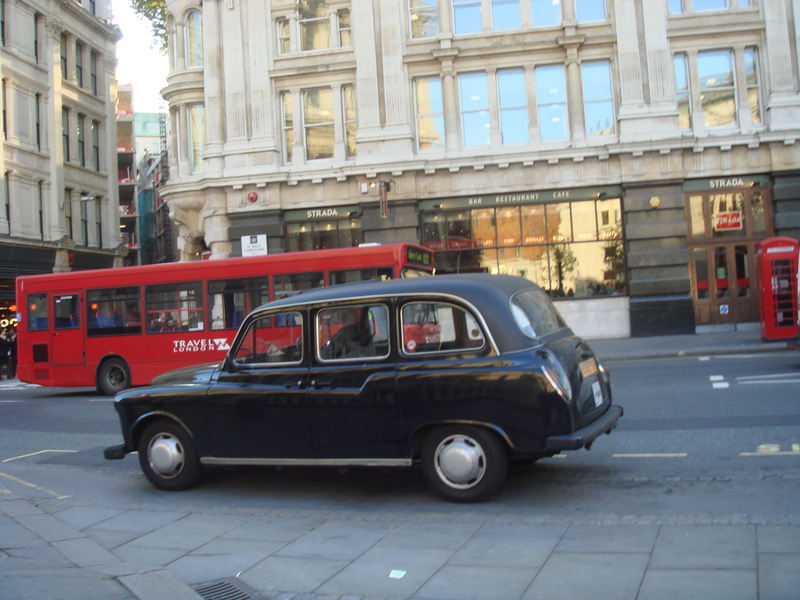 After all, London cabbies know everything. “He’s getting the knowledge” the driver replied mysteriously. “The knowledge?” I whispered, leaning forward, my imagination fired. This is the home of Harry Potter and you can’t tell me that there isn’t a platform 31/2 somewhere at Victoria Station or a wand shop in one of those dark, narrow, city lanes. So wizards on motorbikes, why not? “The knowledge is what you must have” the driver went on, “to drive a London taxi”. Pure muggle, I decided as the motorcyclist puttered past into an alley – no flash of cape or trace of lightning scar. Still, the study and exams involved in acquiring the knowledge make the programme at Hogwart’s Academy seem like a kindergarten course and A level Wizardry as easy as 1,2,3. The knowledge consists of 400 London routes, including all hotels, hospitals, stations, buildings, businesses, theatres, cinemas, landmarks and monuments as well as all their histories. The aspiring taxi driver spends four years in pursuit of the knowledge; studying maps, reading histories and riding the city streets to master it. Candidates take the first of their formal, collar and tie oral exams after two years. Questions consist of the quickest route from A to B, the location of the nearest hospital to point X or the history of a certain building or landmark. The second and final exam is tougher, with more complex questions and trick scenarios where “clients” change their destinations suddenly from hotel to hospital and the candidate must find the nearest and the quickest way to get there. Having proven that s/he has the knowledge and also that s/he is fluent in English, the graduate can buy the taxi, which costs thirty thousand pounds and begin a career as a cabbie. Like muggles and wizards, I thought to myself.